The jump season is well underway, Cheltenham is just around the corner and before we know it, the flat season will be getting started. With higher prize pools and more media coverage than ever, 2018 is set to be a bumper year for horse racing fans. 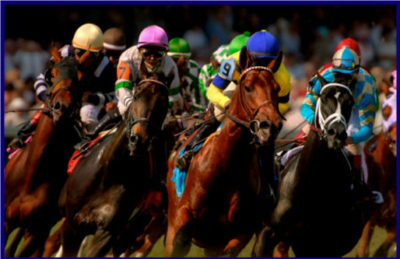 The thrill of the race is one thing, but nothing really compares to a big win at the bookie’s, and with online bookmakers offering more variations of bets and ever-easier ways of placing them via online apps, it just leaves one tiny question: Which horse should you bet on? There are those who study the form in any sport, but in horse racing, it is taken to a whole new level. Punters can get their fix of daily horse racing tips from the experts at Racing Tips, where they have the lowdown on the runners and riders at every race meeting. But while an expert opinion is always welcome, even an amateur punter needs a basic grasp on just what the phrase “study the form” really means. Here are some tips on being a tipster. Put them to the test, and see if you agree with the experts. 1) Is it really in with a chance? It sounds disingenuous, but the question is a serious one. Trainers will sometimes enter a horse into a race against opposition where it stands no realistic chance for a whole host of reasons. The outside shot of fluking a victory is always there, but it’s not a sensible way to use your stake. Always check the class of race when looking at recent runs, along with its odds and finishing positions. Don’t be tempted by long odds – the horse to back is the one that has been consistently in the front four in similar company over recent races. Don’t underestimate the importance of the going and distance. Tipsters will be looking for horses that have a proven record in the same conditions and over the same distance. “Proven” does not necessarily mean winning everything, but if they’ve been finishing within around six lengths of the winner on the flat and 12 lengths over jumps, they are definitely worth considering. If the horse isn’t fit, keep your money in your pocket. It sounds obvious, but how do you find out? Check when it last raced. If it was within the last five weeks or so, it’s fair to assume fitness. If the horse has been out of action for a while, it is worth looking more closely at the trainer’s track record. Some insiders claim that as many as 75 percent of horses never win a race. If so, being a proven winner is a significant factor in any tipster’s thinking. If a horse has tasted success, it is likely to do so again, it’s that simple. When studying recent results, look beyond the numbers. Those little comments, such as quickened to lead or ran on well provide nuggets of information as to whether a horse is coming into the form of its life.